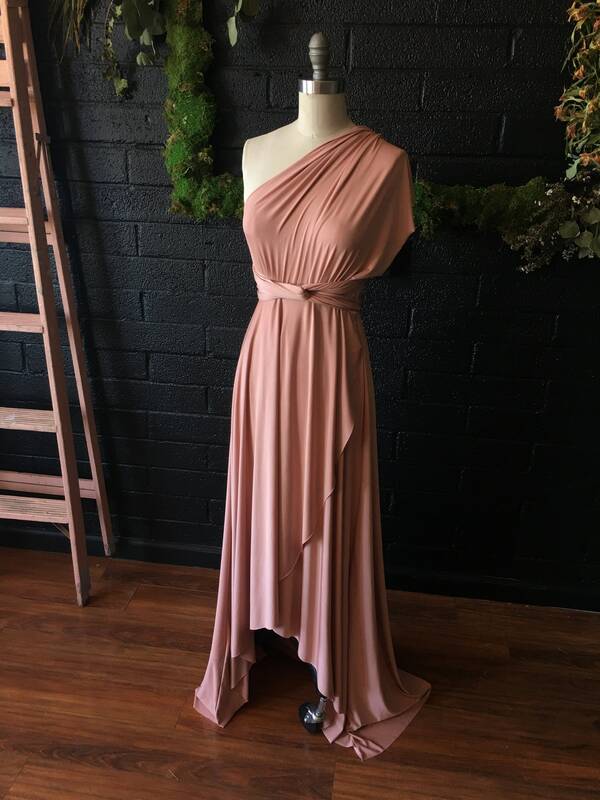 Cameo Dusty Peach TULIP HEM CUT Long Octopus Convertible Wrap Gown- Customize Size, Length- Plus Size, Maternity, Bridesmaids, etc. Length 42" 44" 46" 48"
New to the Coralie Beatrix collection! Cameo Dusty Peach is a is a gorgeous pale, grayish Peach. 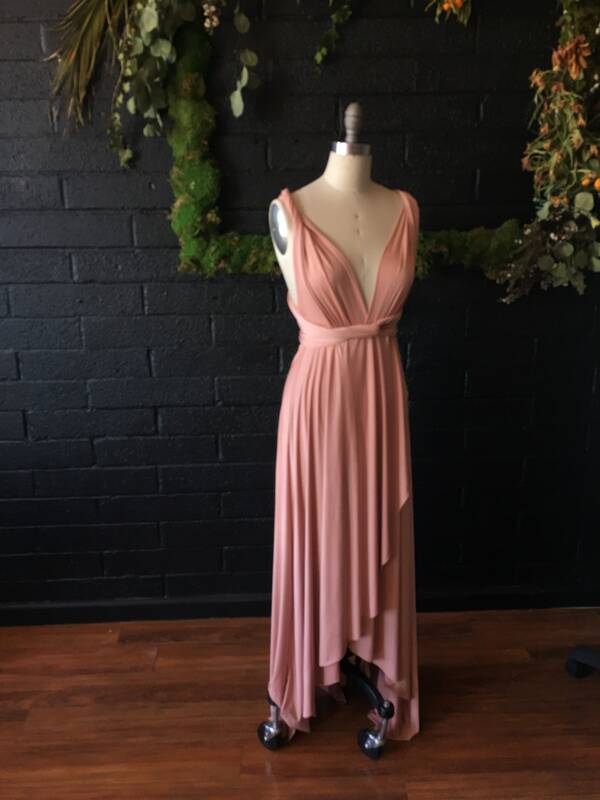 This listing is for the unique Tulip cut hem but can be ordered in the straight hem or short dress lengths, etc.! 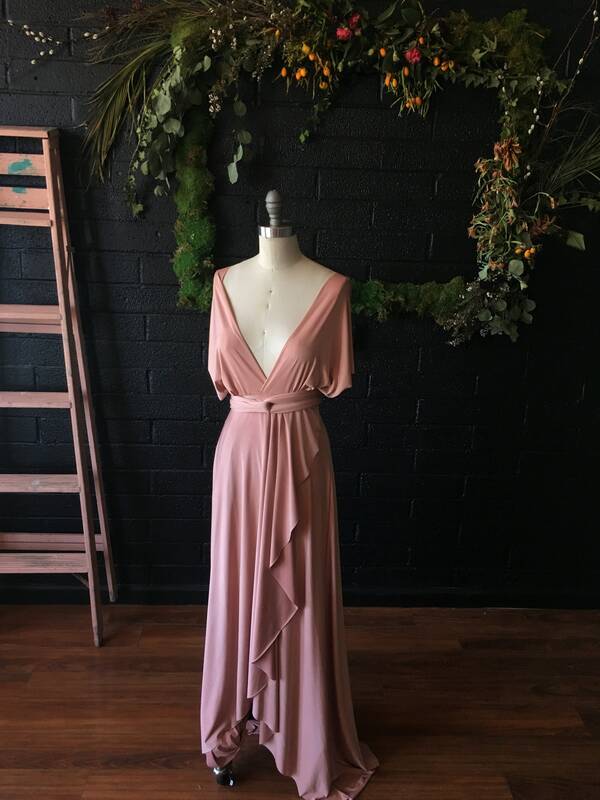 *Please inquire if interested in a bridesmaids order of this dress! 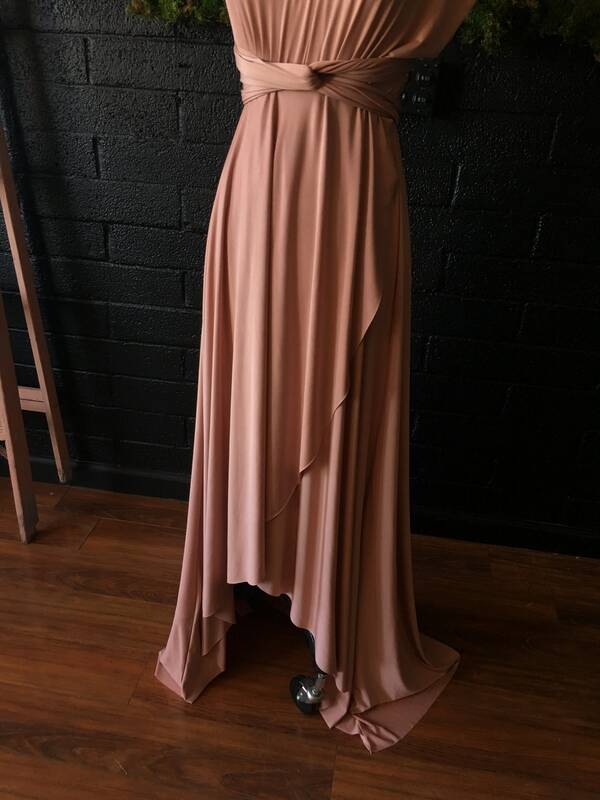 SWATCHES- I strongly recommend that you order a sample of the fabric you are interested in before ordering your dress. Fabric colors may appear differently on your monitor or due to lighting in the photos. 2.LENGTH- This listing is for the new 'Tulip Petal' cut hem which features an overlapped front that gives a high/low effect. Front opens at tea length to appx. 21" from floor. Please choose back length from drop down menu. To determine length, measure from the high (empire) waist, down. If you will be wearing high heels with the dress, you should take that into consideration! 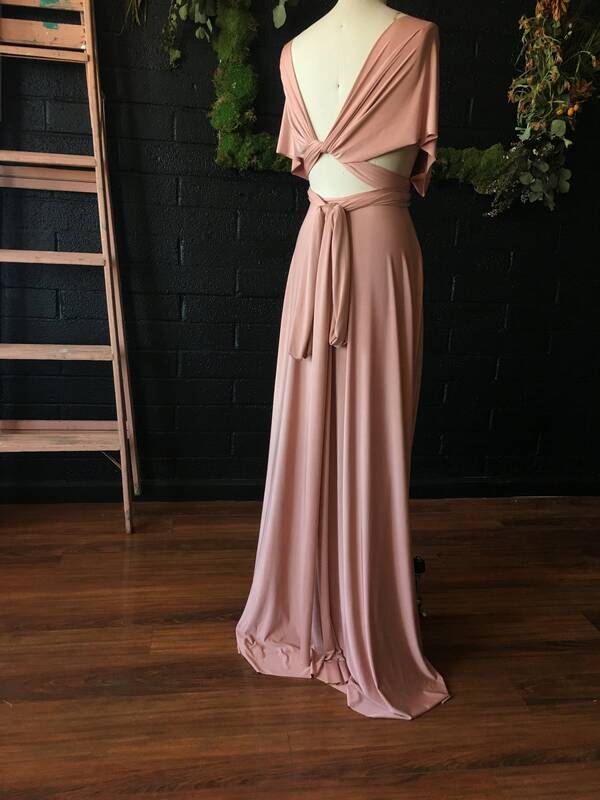 For one dress, please allow me 3 weeks to ship plus delivery time. Thank you for supporting handmade. I truly appreciate your business!